Decorating the home is one of the most rewarding activities of the year. Each Christmas families come together in a spirit of goodwill. Every step of preparation helps kindle togetherness, peace, and enthusiasm. It all makes Christmas day itself even better. To ensure that you never run out of inspiration, here are 25 glorious Christmas decoration ideas. Use them as-is or as the basis for your own Christmas ornaments, arrangements and décor. If you’ve got stairs or banisters anywhere in your home then you need to decorate them. Christmas banisters can easily steal the show. All that they need is some lighting and traditional decorations. Don’t only decorate the banister itself but rather the entire rail. 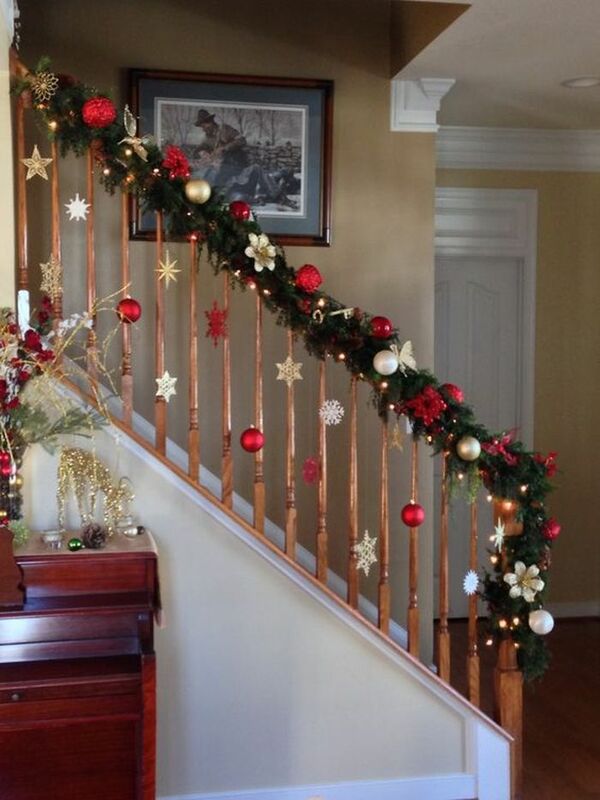 This example uses tradition Christmas-tree styling to shape a beautiful banister.